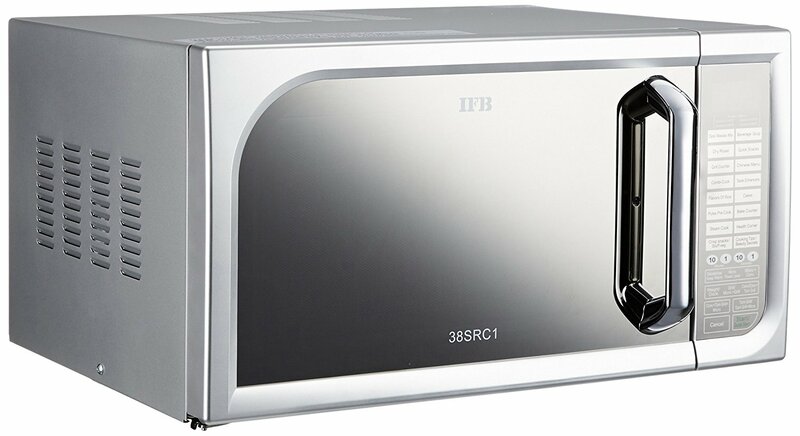 IFB 38 L Convection Microwave Oven (38SRC1, Metallic Silver) features 150 auto cook menus giving you the great cooking flexibility. 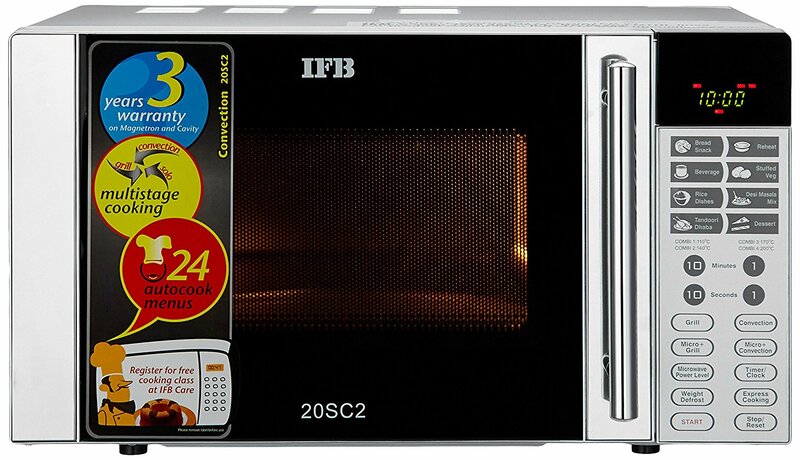 This IFB 38 litres microwave delivers best cooking result and it is ideal for a large family. 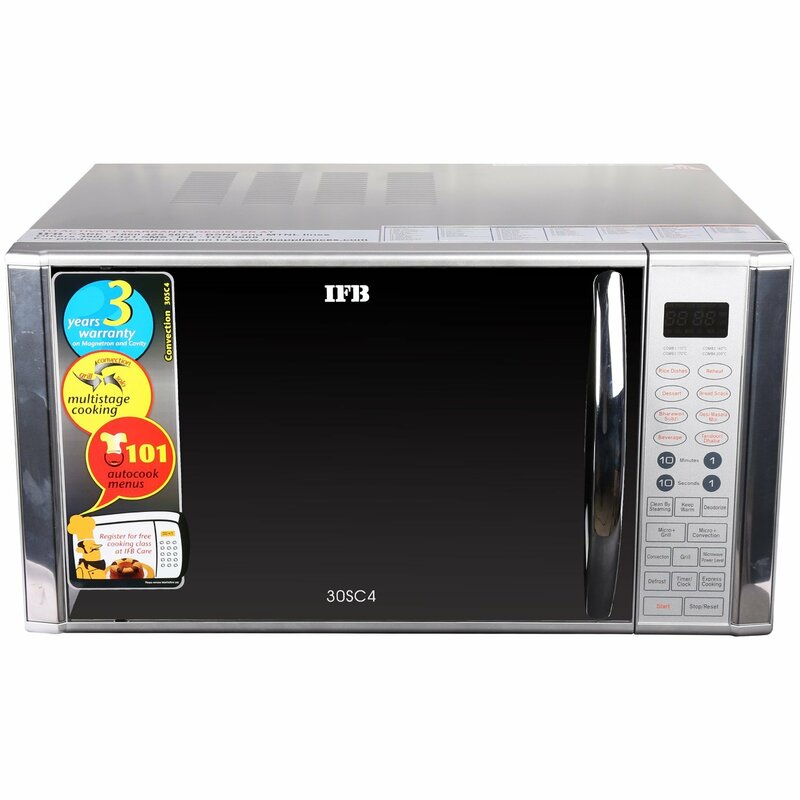 It comes with too many automatic cooking settings to make cooking works very easy. Using the 150 auto cook menus, you will be able to explore new flavours and cuisines at the comfort of your own home. 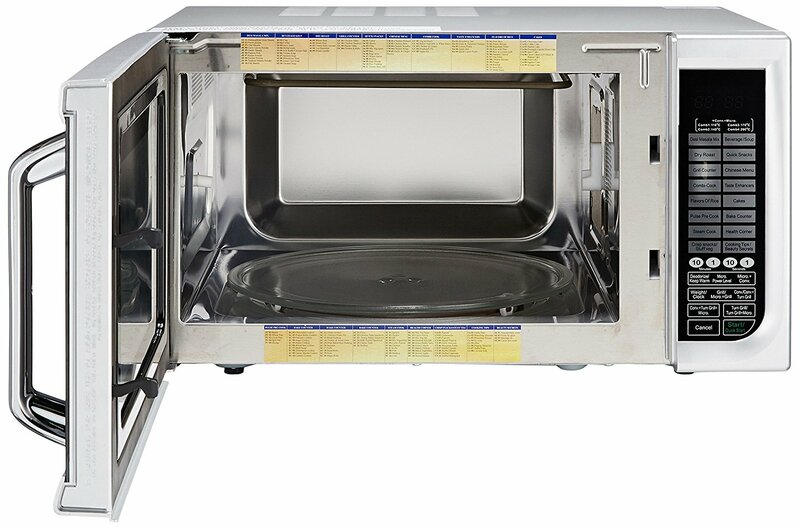 Also, it comes with rotisserie feature that is good for preparing delicious meat, poultry etc. 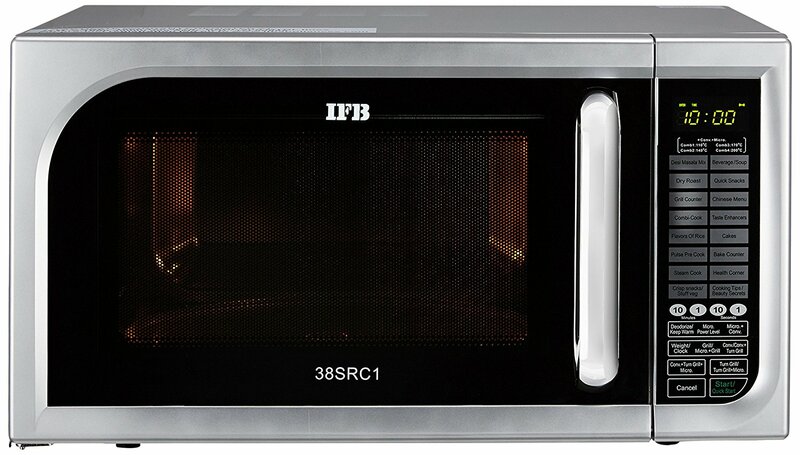 IFB 38SRC1 38 L Convection Microwave Oven comes with deodorize function that is very helpful to clean the food particles and to make the grill elements clean and free from bacteria, germs and odour. 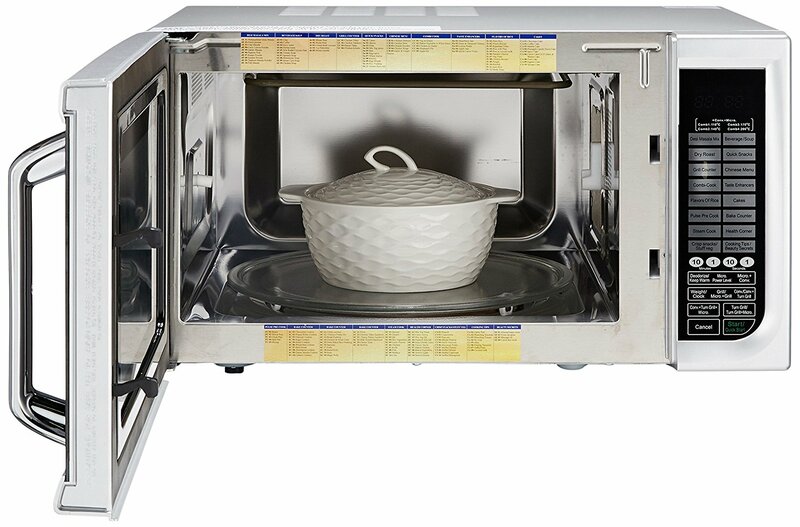 Further, it has ‘keep warm’ capability that spreads very less power microwave pulse to keep your food warm without overcooking. The keep warm feature works for maximum ninety minutes. 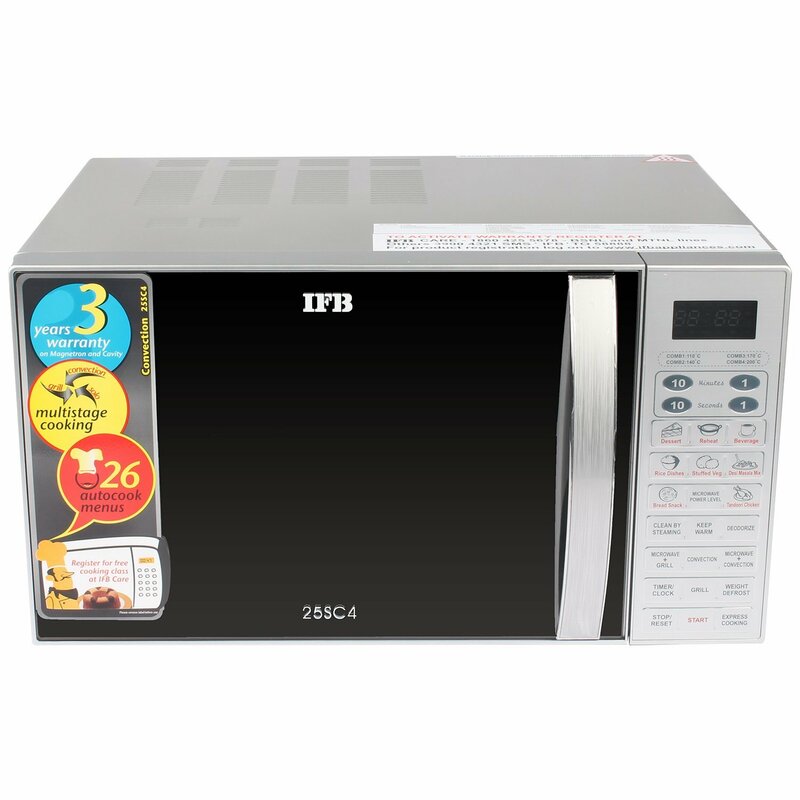 This IFB convection microwave oven has multi-stage cooking capability that means one cooking stage ends the next cooking stage starts automatically. This is done with the help of an integrated memory that stores up to 3 levels of cooking simultaneously. Well, multi-stage cooking is really good for saving time and enjoying convenient cooking at home. 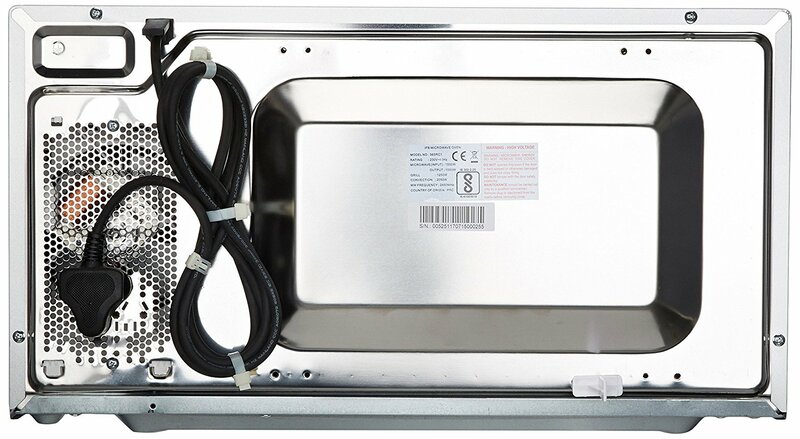 Other important features are “quick start” to set the weight and start cooking, “child safety lock” to prevent children from using the unit and 3 years of warranty for the peace of mind.